The first Corsaro was built already in 1946. 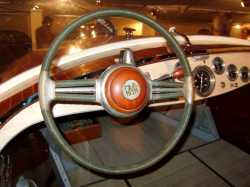 At this time the Riva models was not named yet so it was just called "Riva AR", based on the name of its drawing. 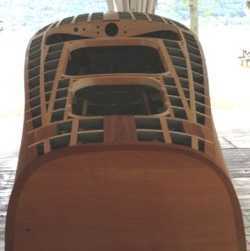 From the very beginning it was designed as a sporty boat made for fun riding on small lakes. With its single cockpit, and room for only two or three persons and no sun mattress or bathing ladder, it was not such a practical boat. 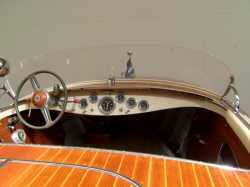 Those who wanted a bigger boat could choose the much larger BF model, or the in-between BM model with a double cockpit, later named as Ariston. The first Riva AR was built in 1946, named Micio, and delivered to the industrialist Carlo Dusio. 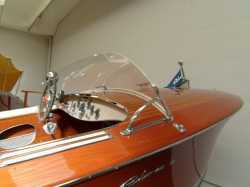 It had a 60 Hp BPM engine and was the very first boat built with the famous perfectly designed stern. 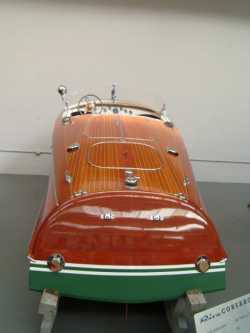 This was Carlo Rivas first design all by himself and would later become the trade mark for his boats and the yard. Only one boat was built this year but two more were started and finished in 1947. 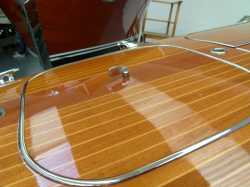 Six more boats were started during 1947 and 4 of them were sold the same year. 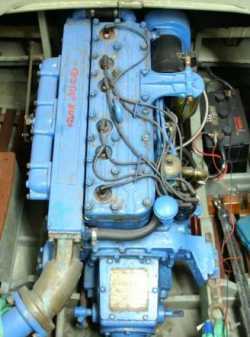 At this time the buyers could influence a lot when it came to selection of engine and upholstery, hence the boats had different engines like Aprilla 1500 cc, BPM 1500 cc, 1800 cc, 2500 cc sport (108 hp) 2600 cc (90 Hp) and Grey Marine (62, 75 and 90 Hp). The noted top speed for the model in 1947, depending on engine, was up to 60-70 Km/h (32-38 knots) and must have been quite impressive. In late 1950 Carlo Riva takes part in the 1950 Milan boat show with 6 boats, one of them being the AR model. The Milan show became a success and ten boats are build during the year. 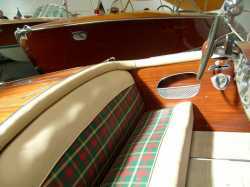 The first one (#16) is powered by the Chris Craft KFL at 131 Hp that later will become the standard engine in many Riva models. The rest of the boats gets engines from BPM and Grey Marine with less power. The AR can now be bought with an optional sun bed for the top of the engine hatches. 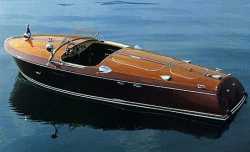 The Riva AR grows to 5.3 m in length and the width is increased from 1.75 m to 1.87. A reason for this is to make room for the bigger 6-cylinder engine from Chris Craft that is mounted on all three AR's built this year. The AR finally gets its name Corsaro, choosen to emphasize its sporty character. Five boats are built and three gets the CC KFL engine. 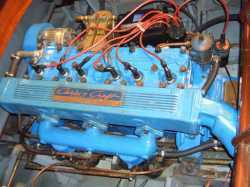 The first built has instead a BPM engine and the last one (#33) get an ever bigger engine from Chris Craft; the MBL at 158 Hp. Only three boats are built and two are sold during the year. 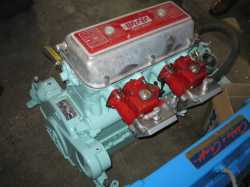 The new CC MBL is now standard even if boat #36 gets the smaller CC KCL engine at 120 Hp. The Corsaro sales is suffering, compared to the other Riva models that are booming, probably because of their more practical use. The hull is updated once more and become 5.65 m long. The interior is also updated with the a new dashboard in grey Formica instead of the former used screen printed one in plexiglas. The upholstery is in green tartan pattern with dark green Vipla décor and the windscreen is changed from two parts to a single part as on other models. All four boats built are equipped with the CC MBL engine. A total of five are sold including #35 built in 1954. These boats will be the last built of the AR/Corsaro series. 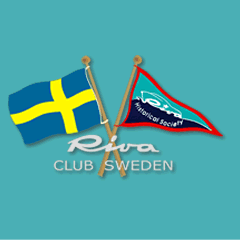 Viva Riva. Riva Historical Society quarterback magazine. Pictures from my own and others archives, RHS and other miscellaneous sources. A Corsaro being totaly rebuilt except for som few wooden parts of the internal structure. These rare boats are very valuable!